The original illuminating apparatus in the 1848 light was a fixed white light produced by 13 Argand lamps each with a 14″ reflector. The light was designed with a 270-degree arc in attempt to not waste fuel oil in lighting the peninsula to the north. 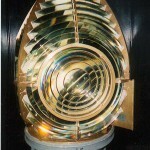 The original apparatus was replaced in 1857 by a 4th order Fresnel lens producing a fixed white light. 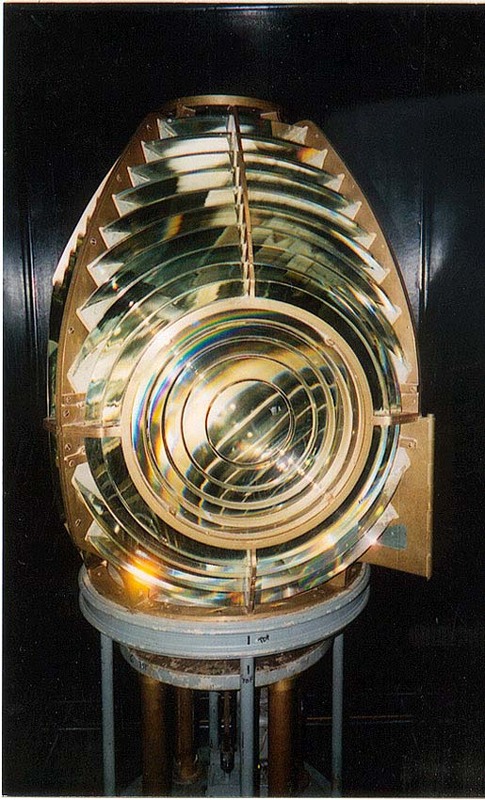 A Fresnel lens is a type of optic consisting of a convex lens and many prisms of glass, which focus and intensify the light through reflection and refraction. The 4th order lens was replaced in 1870 by a fixed, white, 3rd order lens. At the same time, the remnants of the original stone tower that was still standing on the site were removed. In 1907, the 3rd order lens was replaced by a 3-1/2 order bi-valve lens. This lens did not last long. It was replaced in 1908 by the last Fresnel lens used at the DeTour Point Light which was a 3-1/2 order flashing white light. This light had a characteristic of a one-second flash and a nine-second eclipse and could be seen from 30 miles away with a 270-degree arc of visibility. The lens was manufactured in Paris, by the Barbier, Benard & Turenne Co. It has the number USLHE 317 stamped on it. 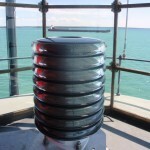 This same lens was relocated to the new DeTour Reef Light structure in 1931. The light remained white until the 1936 season when the color changed from straight white to white with a red sector that faced land. 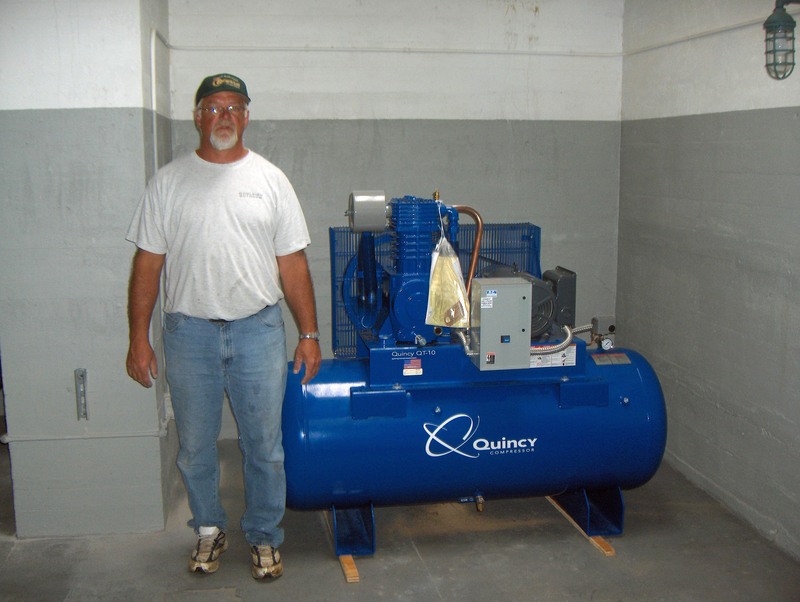 This was affected through the use of a color screen or shade inside the lens room. This magnificent lens was dismantled in 1978 and is now on display at the DeTour Passage Historical Museum in DeTour Village, Michigan. 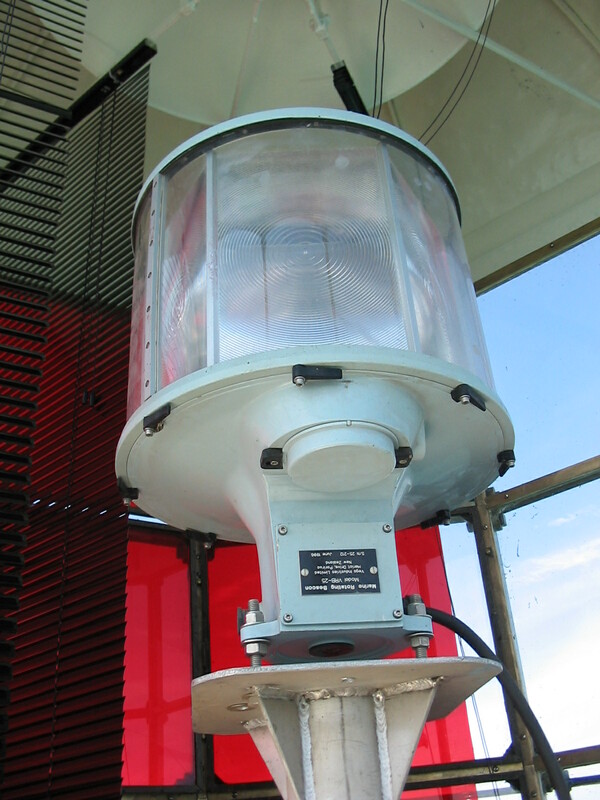 Six sided VRB-25 prior to removal from the DeTour Reef Light lantern. 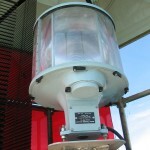 Eight tier VLB-44 in DeTour Reef Light lantern. 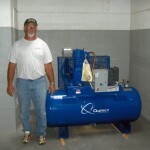 Laker Paul R. Tregurtha in background (1013.5 feet in length). 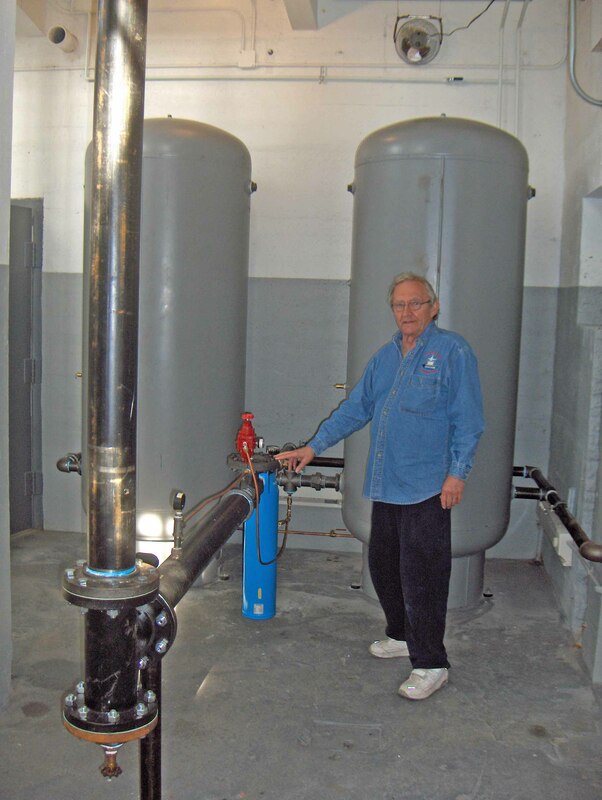 In March of 1998, DeTour Reef Light Preservation Society member Jeff Laser of Bellville, Ohio, discovered the 1956 foghorn from the DeTour Reef Light sitting on a pallet at a warehouse belonging to the Great Lakes Historical Society in Vermilion, Ohio. 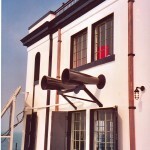 The DeTour Reef Light Preservation Society contacted them and they agreed to return the foghorn to its original home. 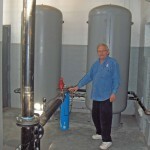 The horn is a 475-pound Diaphone air type unit. 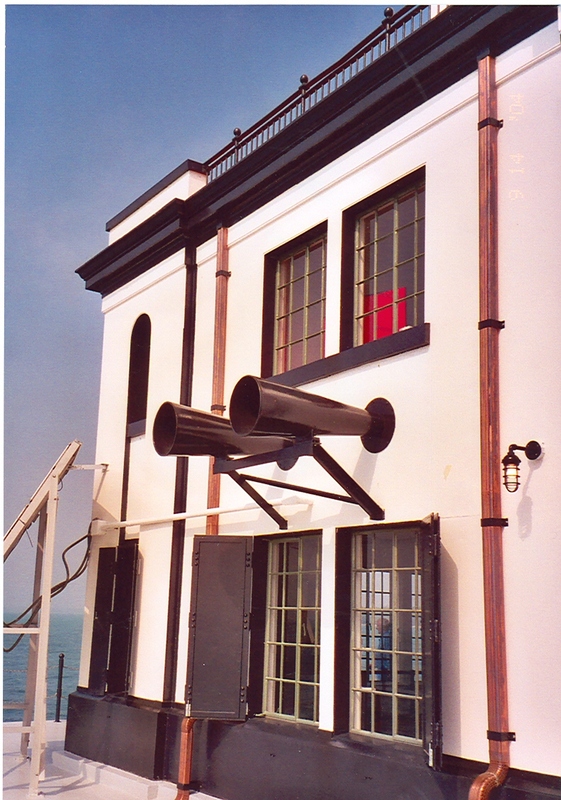 The returned horn has been restored by Jeff and, in 2010, with an MLAP grant and matching donated funds, the DRLPS replaced the foghorn mechanism and installed the F2T foghorn system at the DeTour Reef Light. 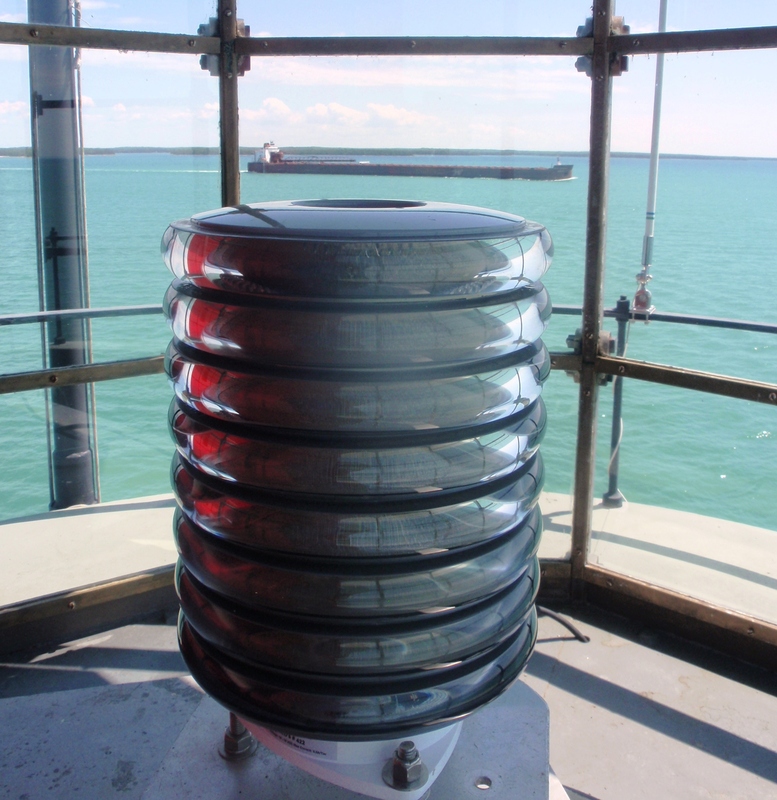 The DeTour Reef Light’s foghorn is the only known operating F2T foghorn on the Great Lakes.